With the increasing demand of modern customers, we also cater to the basic manufacturing industry to abandon the traditional concept. The products should be refined, economical, professional and high-end to become the trend of times. Our company has opened up a new way of thinking about stainless steel manufacture in the sheet metal industry. 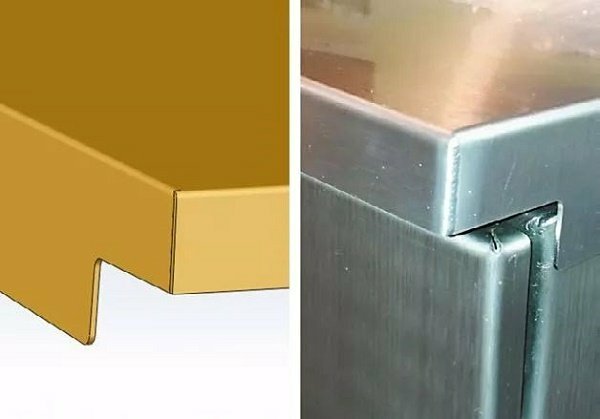 Traditional stainless steel manufacturing not only destroys the original color of stainless steel sheet but also has low efficiency and high cost. The corrosion resistance of stainless steel is greatly reduced. Through the implementation of the new process, the products are widely recognized by customers. 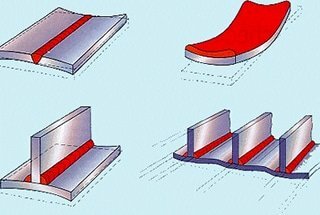 (1) The design of the whole splice structure of the box is adopt the landing edge. 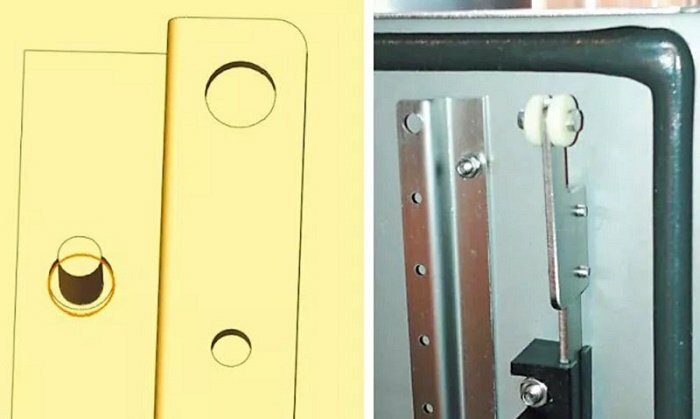 In principle, the upper and lower carrier plates are wrapped by the left and right side plate. 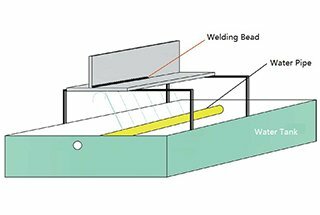 The positive structure uses 45 ° inclined splice, though is visible surface, welding does not in right angle way (figure 2), relatively weld seam is also very beautiful. 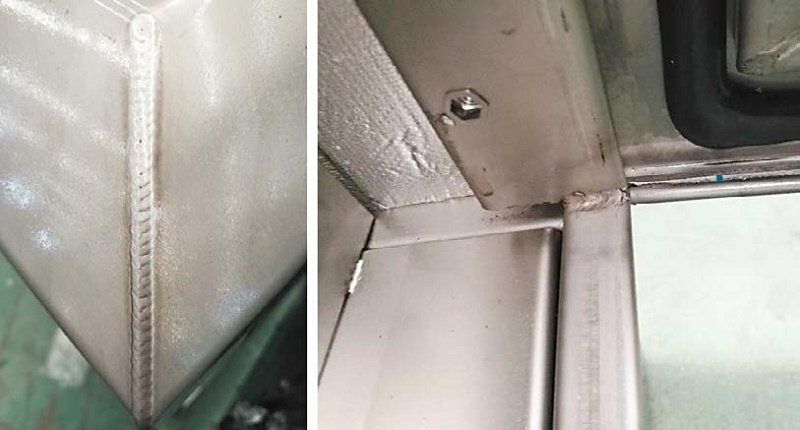 (2) Box(cabinet) door sheet structure wall adopt argon arc welding for two points to ensure there is no welding spot on the front side of the door sheet. The overall door sheet visible side do not have welding damage, therefore, the outlook is splendid. 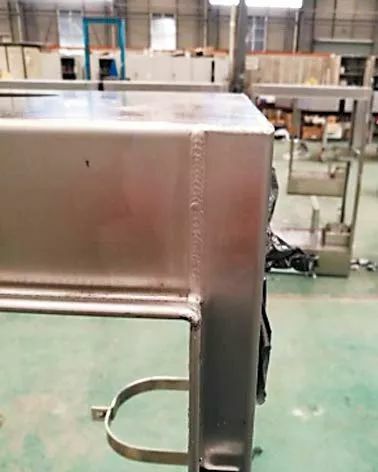 In the design, it is usually extended the upright or bracing component to the top or bottom plate, then the upper and lower top corner of the box shall be welded, and the middle part of the column or supporting part shall be welded and equipped with standard components. 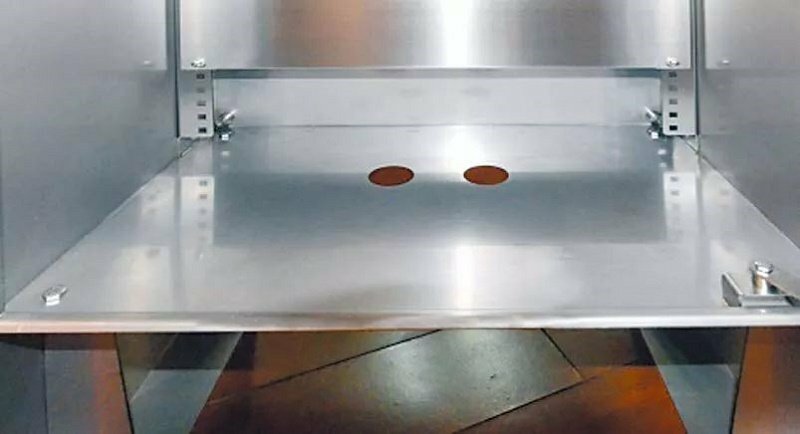 ① The appearance should be considered to cover the top plate as much as possible so that the welding point cannot be reflected on the visible surface, as shown in fig.7. 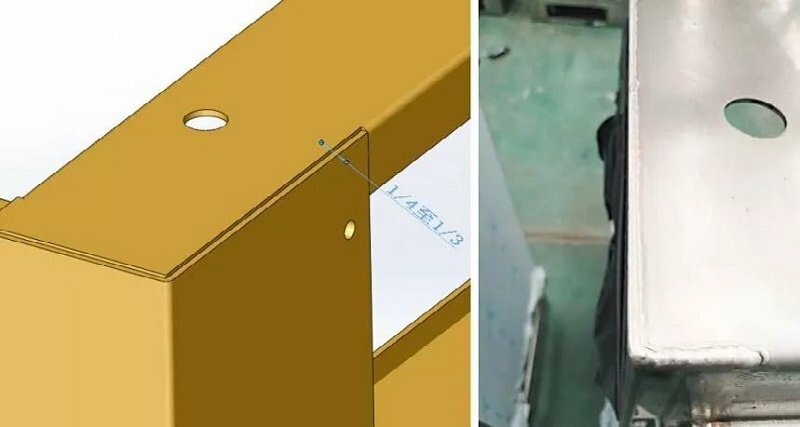 ② In appearance, the straight welding structure should be considered, and the welding spot should be selected on the side surface, like inclined splice, the outline should be as few as possible, as shown in figure 8. 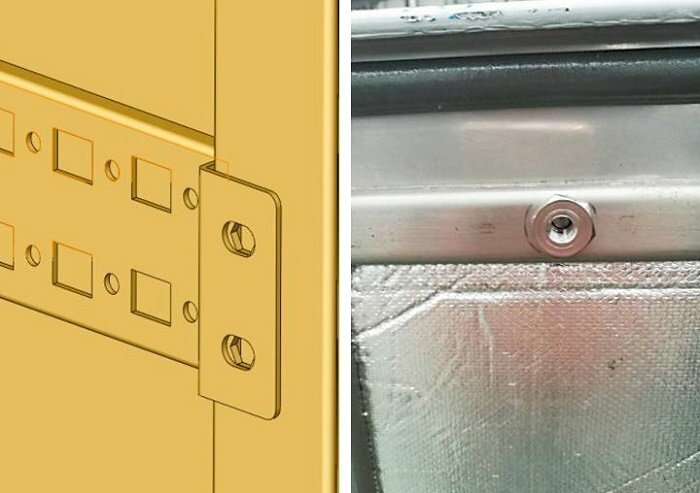 ③ The preferred design of the top cover joint welding seam can be placed on the side of the cabinet (box) to ensure the front appearance (figure 9). 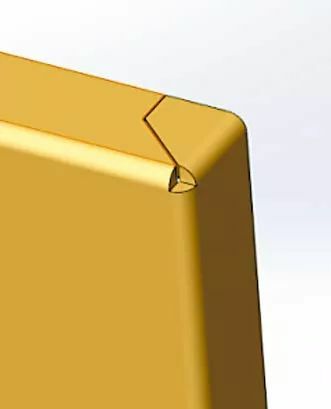 ③ Landing edge select 1/4～1/3 thickness，the Angle of R is formed automatically when welding, basically consistent with bend R, the whole appears aesthetic strongly (figure 10). 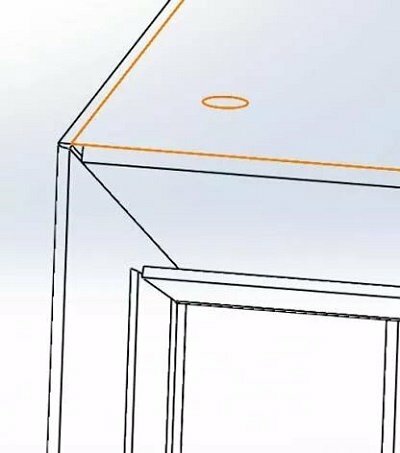 Theoretically, the clearance will be 0.2-0.3mm when welding of the box(cabinet) and parts. 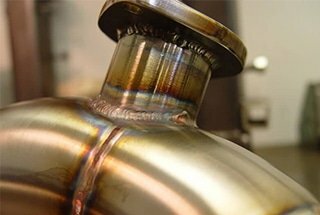 Most of the welding of stainless steel adopt autogenous welding method. 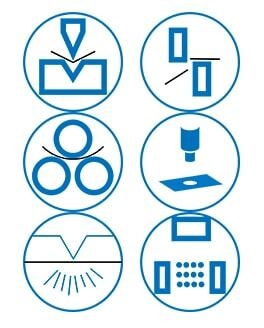 It is necessary to strictly control the scratches and bruises from laser cutting and stamping to a bending process to ensure the final product color status. 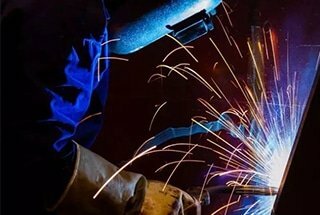 The precision requirement is to ensure the welding of the next process and the beauty and efficiency. Therefore, the keyword of sheet metal manufacturing is precision. Because of the guarantee of the foregoing process, the welding is mostly used autogenous welding method (FIG. 11). 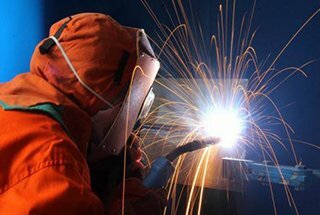 The welding parameters such as air pressure and current are chosen reasonably and the welding strength is guaranteed. First, the welder must have a smooth method, and then the purity of the gas must be satisfied. After welding the color is basically the same as the color of the raw material. 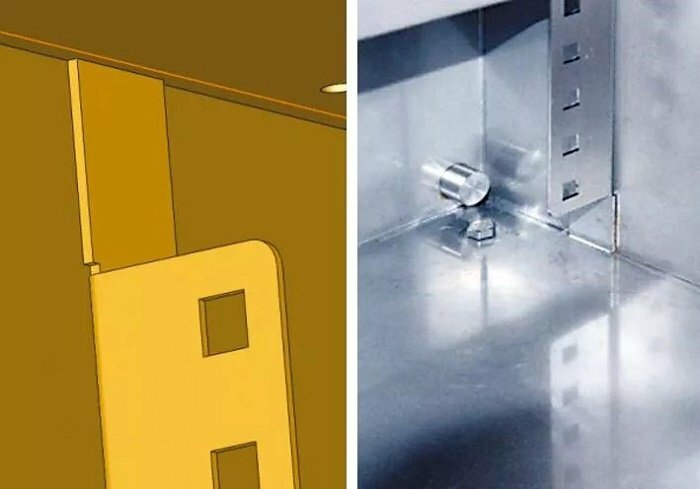 After the welding of the cabinet and parts, the solder on the inside and outside of the welding part should be removed by welding processor machine and be dried. Use W40 solution to clean the inside and outside of the cabinet, and use the silver pine paintbrush to coat the inner wall once, to meet the requirement for product assembly. After assembly, the second cleaning of the machine cabinet and parts also use the W40 long-acting liquid to reach the delivery demand (figure 12). ⑴ Adopt no-grinding welding process which makes the welding efficiency improved by at least 1 times. ⑵ Adopt a no-grinding welding process, which helps eliminate traditional welding treatment, such as polishing, drawing, polishing wheel. The cost of a cabinet (box) is greatly reduced. The cost of a single unit is at least 20-30 yuan, and if the monthly output is 2000, the cost is a considerable number. ⑶ With the non-grinding process, the anti-corrosion capability of the product is greatly enhanced. In the experiment of 304 stainless steel materials, the traditional process of anti-salt spray and anti-corrosion is generally in 600 hours, and the new technology has reached 1200 hours, which obviously extends the service life of the product. The products manufactured by new production technology are shown in fig.13. The high-end manufacturing of stainless steel products has opened up a new idea for industry development.